We are blessed with spectacular coastal and country vistas at every turn in Cornwall, prompting more and more residential and holiday let owners to make the most of their views with features such as balconies, verandas and decks. In order to enhance a property’s connection with the outdoors in this way, there is an increasing focus on how people can maximise their view and avoid awkward posts or rails. 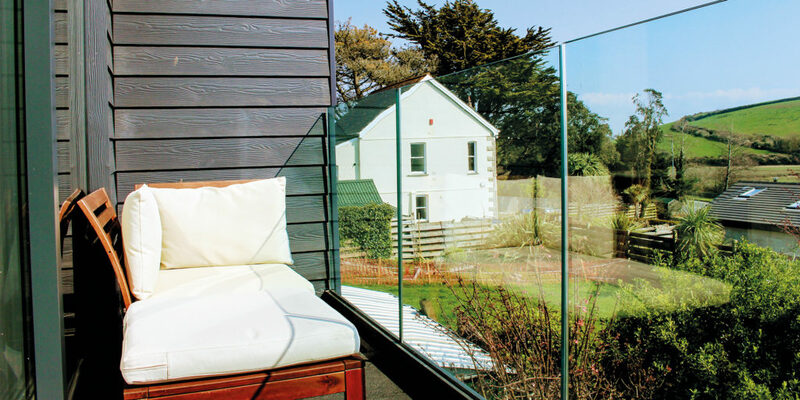 This is where the relatively new innovation of frameless balustrade systems comes in, allowing you to appreciate uninterrupted views from the comfort of your sofa, deck chair or dining table. 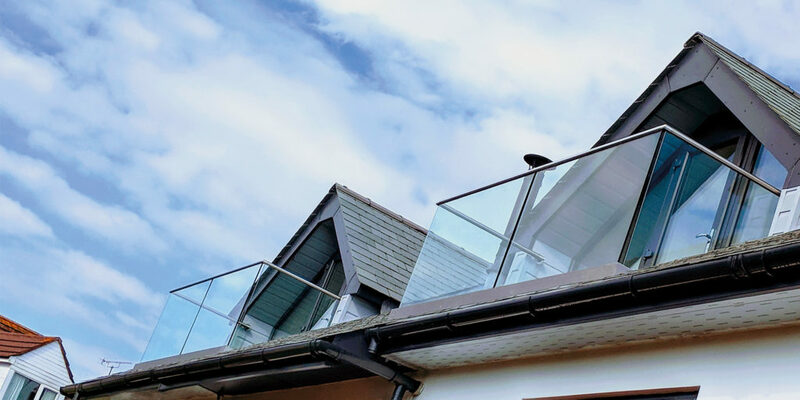 Vantage Balustrades, a frameless balustrade company based in mid Cornwall offers a made-to-measure system to suit your bespoke project – including Juliet balconies, verandas, decks, staircases, even around swimming pools. 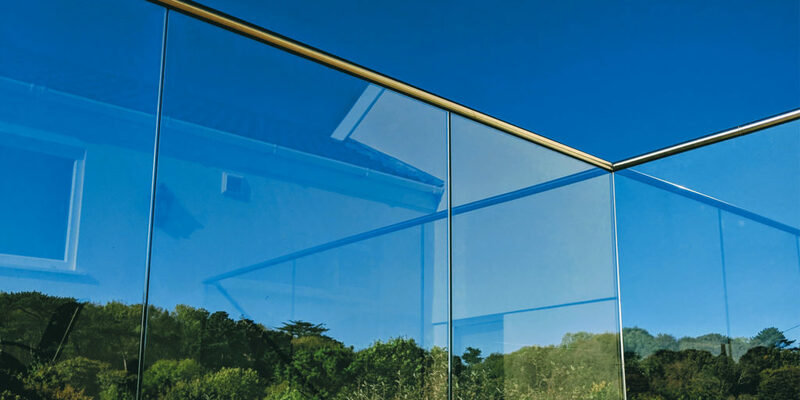 Using a sleek, engineered aluminium channel system, it’s possible to achieve a seamless look that maximises light and views, without the need for posts, rails or clamps. The channel can be powder coated with any colour to suit your scheme and is fixed to the base with bolts holding glass panels that are secured in place with plastic wedges. Sometimes customers are apprehensive about how safe this is, for example with young children leaning on the glass but the system is extremely durable; conforming to building regulations in a hardy design that’s just as reliable as posts or rails. Steve Burton, engineer and Managing Director of Vantage Balustrades is the brains behind this innovative new system: “My aim was to achieve a high-end finish with easy installation,” Steve tells us. To this end, the company recently launched Solus, an exciting new design that can be easily installed by homeowners or your builder. “We can also recommend experienced local installers,” explains Steve. 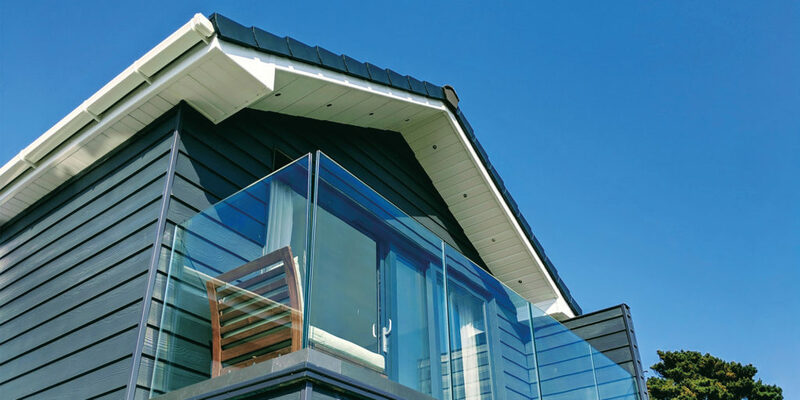 Vantage Balustrades is a small, local and friendly company with a vast knowledge of the industry. The team are at the end of the phone or email to offer design and technical advice from the word ‘go’ and love helping customers bring their projects to life. the company will be present for the second year running. "a seamless look that maximises light and views, without the need for posts, rails or clamps"